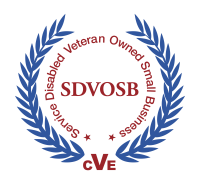 Public Law 106-50 established a contracting goal for Federal agencies to award 3% of prime contracts to service-disabled veteran-owned small businesses (SDVOSBs). In addition, large Prime Contractors have SDVOSB subcontracting goals. Presidential Executive Order 13360 calls for a significant increase in federal contracting and subcontracting opportunities for service-disabled veteran-owned businesses. The central feature of the Executive Order calls for all Federal agencies to develop a strategic plan to significantly increase its contracting and subcontracting with small businesses owned and controlled by service-disabled veterans. EO13360 establishes a goal of not less than 3 percent for participation by service-disabled veteran businesses in Federal contracting. The Veterans Benefit Act of 2003 and FAR Subpart 19.14 established the Service-Disabled Veteran-Owned Small Business Procurement Program. Contracting Officers can set aside procurements for Service-Disabled Veteran-Owned Small Businesses and under certain conditions can award sole source contracts up to $3 million. or $3,000,000 for a requirement within all other NAICS codes.